Are you ready to remodel your house? When it comes time to make a change, the first thing you consider is your comfort and personal preference for the home that you live in every day. However, it’s also smart to think about how the upgrade will affect the resale. Most families plan to sell their house someday, so it’s important to make sure your renovations not only increase your personal enjoyment of the space, but also add value to your home. Here’s our list of five great upgrades that any homeowner can make to improve their resale price. If you’re looking to add space, comfort, and resale value to your home, finishing your basement is a great place to start. HGTV reported a study that found “the average basement remodel costs $61,303 with a 70.3 percent payback.” That means that a $60,000 remodel would increase the resale value of your home by about $42,000! The main reason why basements are such a smart remodel is that the underground space of your house is commonly thought to be worth about half as much as the above-ground space. However, adding carpets, insulation, drywall, and bathrooms or bedrooms make the area much more liveable and useable, and helps the worth of each square foot! Kitchen remodels can be controversial. While pouring money into yours might not be the best way to increase the value of your home, minor remodels are. HGTV reported that a kitchen remodel worth around $15,000 can return up to 92.9% of its value when it’s time to put your home on the market. If you’re looking for a way to increase the value of your house right before you sell, some strategic upgrades to your appliances, countertops, and space in your kitchen are one of the most cost-effective ways to do it. Your home can be flawlessly styled from top to bottom, but if your roof, foundations, or siding have issues, buyers won’t be interested. When it comes to adding resale value to your home, it’s time to take your upgrades back to the basics. Interestingly, HGTV reported a study from Remodeling Magazine that found replacing siding can recoup more than 92% of its cost! 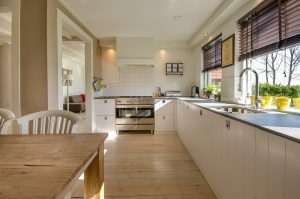 Additionally, “replacing roofs and windows were also high on the list, returning 80% or more at resale.” Although it’s not as glamorous or as exciting as a new kitchen or bathroom, basic maintenance is one of the best ways to add resale value to your home before you put it on the market. US News and World Report shared that “homeowners who add a wooden deck to their properties recoup on average nearly 81 percent of the project’s cost when they sell the home.” Decks are a great way to add value because they add extra living space and make it easier to spend time in your yard and enjoy the outdoors. A lot of first time home buyers dream of finally getting that outdoor space that they were denied in apartments, and offering a wooden deck is a great way to woo them. The additional place where they can grill out, host friends, and enjoy a drink while they watch the sunset is enticing, and definitely helps up your home’s value when it’s time to sell. The attic can be perfect for many different uses. A play space for the kids, a new master bedroom, or even an in-law suite to rent out for extra income. Finishing your attic is a great way to make your home more spacious in the present and easier to sell in the future. Are you considering selling your home with The Degnan Group? If you want to get top dollar, these are five of the best renovations and remodels you can make. Finish your basement and attic to add extra space, work on a minor kitchen remodel, update your exterior with basic siding, window, and roof maintenance, and build a wooden deck. These five projects make your home more spacious and enjoyable to live in and increase the value when it’s time to sell. If you’re ready to make some major changes and put your house on the market, contact The Degnan Group today!